The most assimilable form of iron is amino acid chelate, which means organic iron that has been processed for faster assimilation. This form is nonconstipating and easy on sensitive systems. Ferrous sulphate, inorganic iron, appears in many vitamin and mineral supplements and can destroy vitamin E. Thus, they should be taken at least 8 hours apart. Supplements, with organic iron - ferrous gluconate, ferrous fumerate, ferrous citrate, or ferrous peptonate - do not neutralize vitamin E. They are available in a wide variety of doses, usually upto 320 mg. When you may need Iron Supplements? If you are a woman who experiences very heavy menstrual bleeding, a strict vegetarian, or are an extreme low-calorie dieter, you might need an iron supplement. 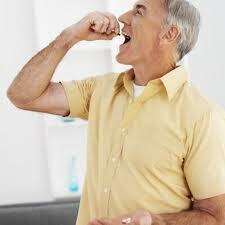 If you are on the anti-inflammatory drug Indocin, or take aspirin on a daily basis, you might need more iron. Large quantities of tea or coffee most likely inhibits your iron absoption. Check the label on your multivitamin or mineral preparation and see what you are already getting so you can guide yourself accordingly. You might want to have your blood iron status tested by your doctor to be sure you are not getting too much. Keep your iron supplements safely out of reach of children. If you are pregnant, check with your doctor before takin iron vitamin supplements. Iron poisoning has been found in children whose mothers have taken too many pills during pregnancy. Do not take iron supplements if you have an infection. Bacteria require iron for growth and extra iron would encourage their increase. When buying iron supplements, look for the elemental iron content, not the total iron content. For instance, an iron supplement containing 200mg of ferrous sulfate provides 40 mg of elemental iron. 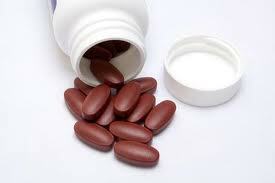 Therefore, this iron supplement provides 40mg of iron. Here are some side effects of iron supplements.